The Bugle has been away for two weeks, so was delighted to come back and see that the zebra crossing which was complained about at fixmystreet.com has had a lick of paint. Still no sign of the veggie cafe opening yet though… And they are advertising for a manager/manageress. It looks like it will actually be a sandwich shop, judging by the tin boxes in the front window. There is finally a chance to see the amazing Pagoda at close range, instead of squinting through the bushes like a ne’er do well, as I did in this post. 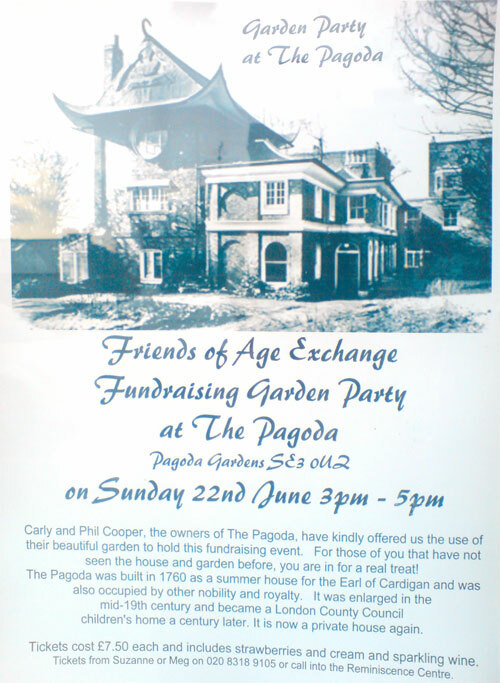 The Pagoda is a private house, but the gardens will be opened specially for the party, which is in aid of the wonderful Age Exchange charity. It is on Sunday 22nd of June from 3pm-5pm and costs £7.50, including strawberries, cream and sparkling wine. 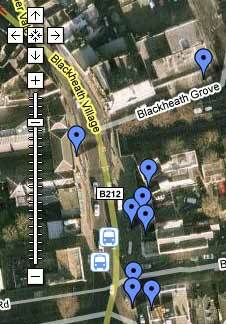 Tickets can be picked up from the Reminiscence Centre (opposite the station, next to Shepherd Foods), or by calling 020 8318 9105.